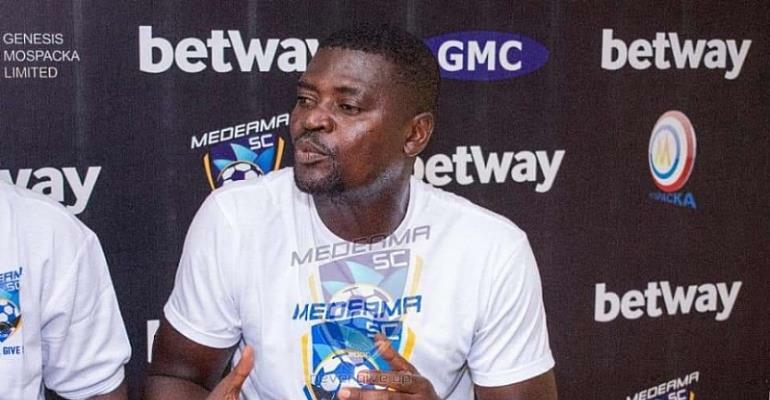 Medeama SC coach, Samuel Boadu has said that his team are confident of beating Asante Kotoko in their GFA Normalization Committee Special Cup. The Yellow and Mauves lads will start their NC Special Cup campaign the Porcupine Warriors after their match-day clash with Berekum Chelsea was postponed. Despite Kotoko recording their first win over Aduana Stars, the 33-year-old has acknowledged the task his team are faced with, he believes that a positive display would set them up for their home match with the Porcupine Warriors lads. “We are ready for the game against Asante Kotoko. They are favourites but we’ll give off our best on Thursday in Tarkwa,” Coach Boadu said in a post-match conference.